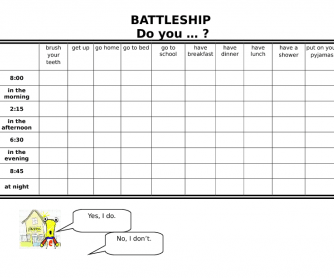 This worksheet helps students to practise time expressions, daily activities and 'do you...?' structure with short answers. It's easy to use- just print it 4 times, two pages for each student in a pair. One sheet is to put its own ships, the other to mark partner's ships. 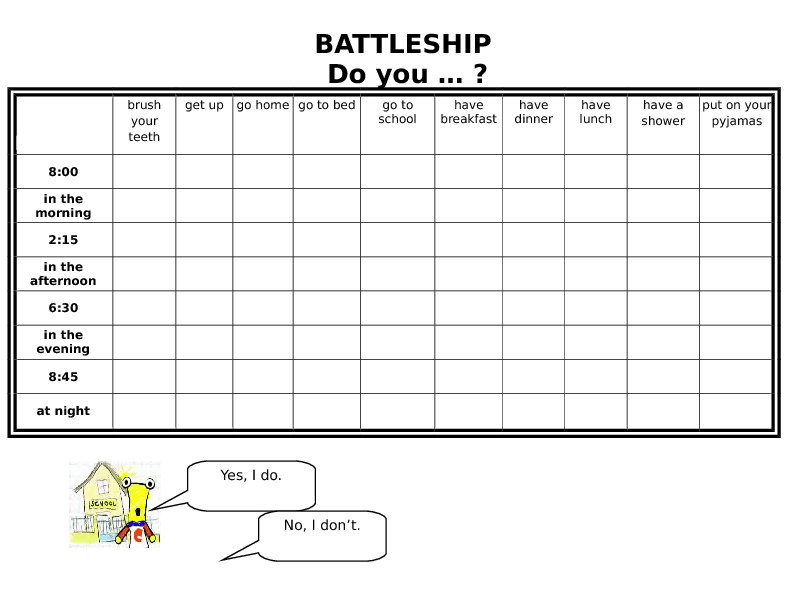 You can also adjust the worksheet by adding different types of ships or using 'hit, miss, hit and sunk' instead of short answers. Example of a sentence: Do you brush your teeth in the morning? Yes, I do (if there's a ship) or No, I don't.